A mother fights to prove her 14-year-old son is innocent of a murder he confessed to under hypnosis. Very good film showing how the police can go overboard when things look bad for a suspect. 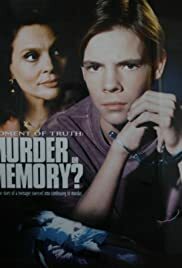 A murder is committed during an overnight party at a home and a boy is the prime suspect after he becomes confused over his actions after the party was over. He couldn't remember whether or not he did the crime; leading to his arrest, the ostracization of the family, and a big court action. Do attorneys really go home with their clients and have dinner with them?